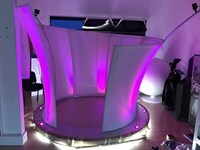 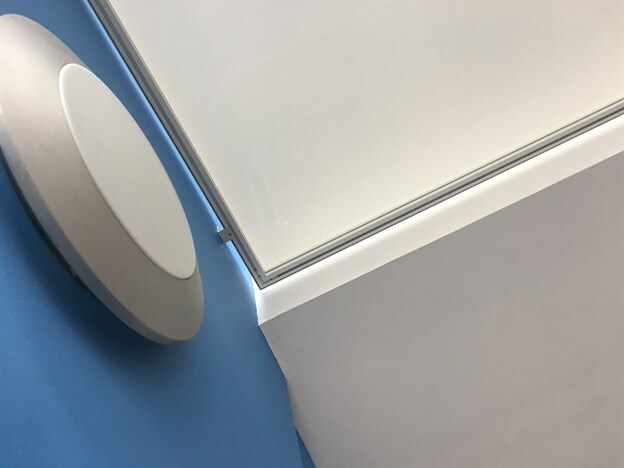 We recently designed and installed four flat fabric panels to form a ceiling at this Dental Clinic in Swansea. 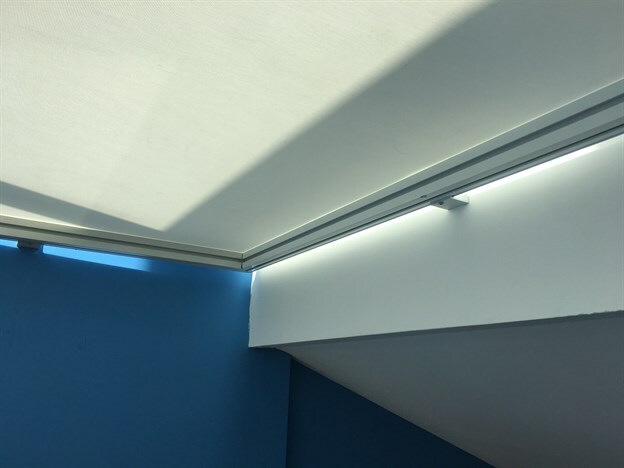 The primary brief was to prevent cold drafts wafting up through the open-plan stairwell and to keep heat in, whilst also providing good light penetration. 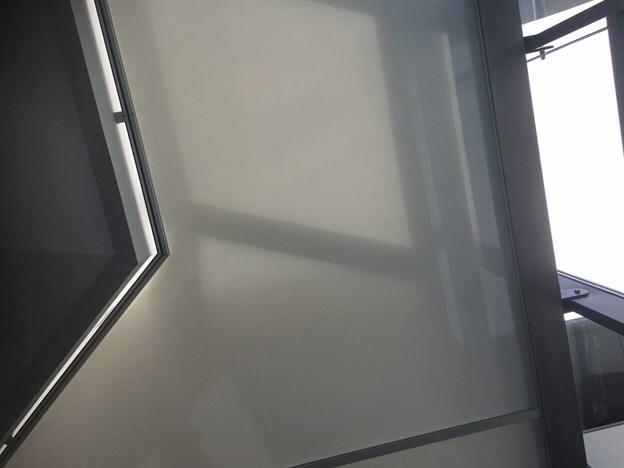 We chose a mesh material that did allow some light to penetrate through and still allow that feeling of brightness, and we used an aluminium track system to run a really neat interface between the fabric and the frame. 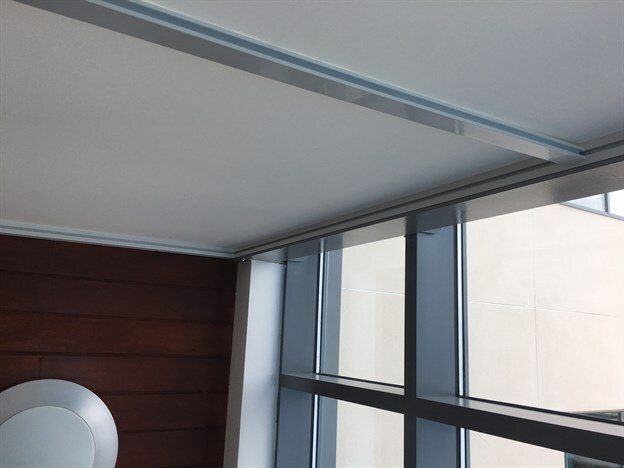 The panels were a variation of our Lyana flat panel product.